Acidic foods and stress is a deadly combination for skin disease called psoriasis. 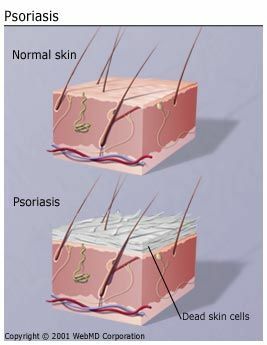 Unpredictable and irritating, psoriasis is one of the most baffling and persistent of skin disorders. It's characterized by skin cells that multiply up to 10 times faster than normal. As underlying cells reach the skin's surface and die, their sheer volume causes raised, red plaques covered with white scales. Psoriasis typically occurs on the knees, elbows, and scalp, and it can also affect the torso, palms, and soles of the feet. Plaques of red skin, often covered with loose, silver-colored scales; these lesions may be itchy and painful, and they sometimes crack and bleed. In severe cases, the plaques of irritated skin will grow and merge into one another, covering large areas. As per our Pune Based Nutrition Expert, the disorders of the fingernails and toenails, including discoloration and pitting of the nails; the nails may also begin to crumble or detach from the nail bed. Undoubtedly, stress is a trigger for psoriasis also. 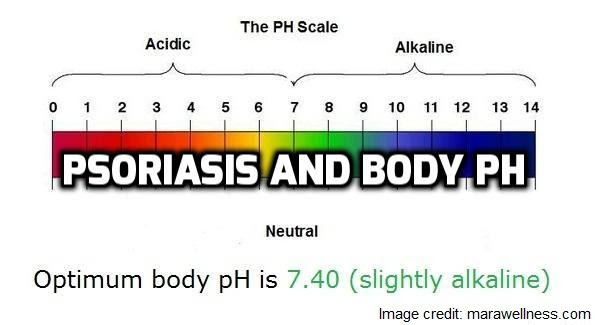 Hence, I can’t agree anymore that psoriasis and body pH are deeply related to each other. Remember- highly processed foods which are high in salt, sugar and fats and low in nutritional content are the biggest culprit for acidic body pH. Negative emotions like stress and anxiety add on to this problem. Weight management (loss) and energy boost up are most popular health benefits of drinking lemon water in the morning. For a person with psoriasis, there are a whole lot of other benefits of drinking warm lemon water which you should know to convince yourself to start this healthy practice immediately. 2. Aids Digestion - flavonoids in lemons acts as tonic for stomach acids to assist better digestion. 3.Liver detoxification -Lemon water contains d-limonene, an antioxidant. 6.Proper functioning of the nervous system (mental health)- Lemon has a high content of potassium. Interestingly, lemon water reduces craving for sweet, pastry and gluten food products (which all cause acidic environments in the body which can cause indigestion, hyperacidity). Hence, lemon water will help you in your resolution to avoid white sugar and added sugar food preparations.